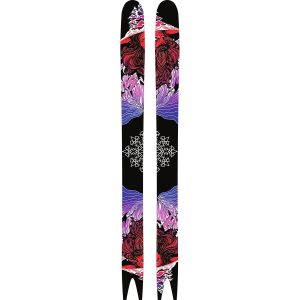 As the widest ski in Nordica's Soul Rider lineup, the Soul Rider 97 has all the tools to explore the entire mountain, including the park and the off-piste powder stashes. If you're feeling that adventurous call, click into this do-it-all ski and indulge your fantasies with a versatile width, winning shape, and a construction that'll have you ripping every nook and cranny of the resort from first chair to last. 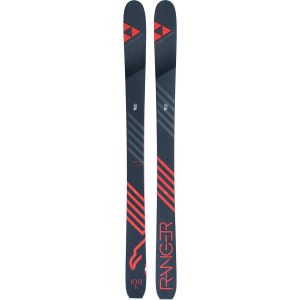 The cambered section of the ski means you can rally hardpack and carve into takeoffs without washing out, while the rockered tip and solid waist give you plenty of float in powder, stability at speed, and the ability to lay down smooth, easy turns in all types of snow. Once you've tracked out every fresh line on the whole mountain, the twin-tip shape will transition seamlessly into the park, where you'll work on your butters and switch landings for the rest of the day. 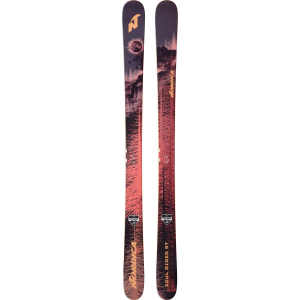 Nordica built the Soul Rider on a durable, energetic wood core to keep it light and nimble, but laid down layers of fiberglass and prepreg carbon fiber to provide plenty of backbone when you're charging down the steepest lines on the mountain. 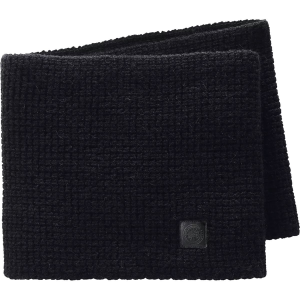 The vertical sidewalls bring edging power to the party, and the sintered graphite base and steel edges keep you moving like greased lightning and turning comfortably on icy hardpack, chundery leftovers, and perfect corduroy.